As technology evolves, the lines between science and science fiction continue to blur. 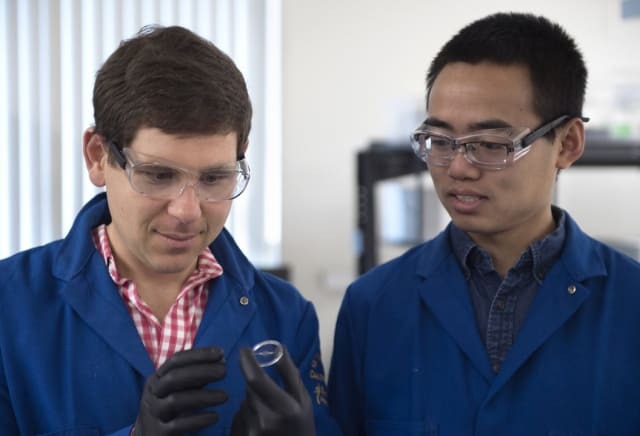 Engineers at the University of California, Irvine (UCI) sought to create the power of invisibility—or at least a coating that could hide objects from thermal vision devices, which detect differences in temperature by sensing infrared wavelengths. With the knowledge that bringing sci-fi concepts to life oftentimes stems from the traits and abilities of Earth’s many unique life forms, the researchers looked to the ocean for their inspiration, specifically cephalopods. These brainy invertebrates, such as squids and octupuses, have evolved to feature color-changing skin. Some squids have a pair of light organs that contain a small sac that houses luminous bacteria and a lens of tiny reflecting plates that controls the bacteria’s luminescence. This allows the cephalopods to control the luminescence of the bacteria and manipulate light to hide their own silhouettes and become invisible to predators. While it may not be a superhero version of full invisibility power, the UCI engineers announced they had successfully developed and validated a new class of adaptive infrared-reflecting materials and devices that become invisible to infrared tools in under a second after they are manually or electrically triggered. The material features thin sandwiches of aluminum, plastic and sticky tape that transform the visible to the infrared regions of the electromagnetic spectrum nearly instantaneously, like that of a cephalopod. The team designed the systems to be manufacture ready with straightforward integration. The researchers are now focused on creating prototypes of the materials that could be made into large sheets of commercially usable material. The potential uses of the materials could impact many facets of the modern world, including improved camouflage for the military and space vehicles, dielectric elastomer-based artificial muscles, pneumatic automation, energy generation, and adaptive optics, as well as the ability to build heating and cooling systems. For more on research into invisibility tech, check out Invisibility Cloak Functional at the Nanoscale.